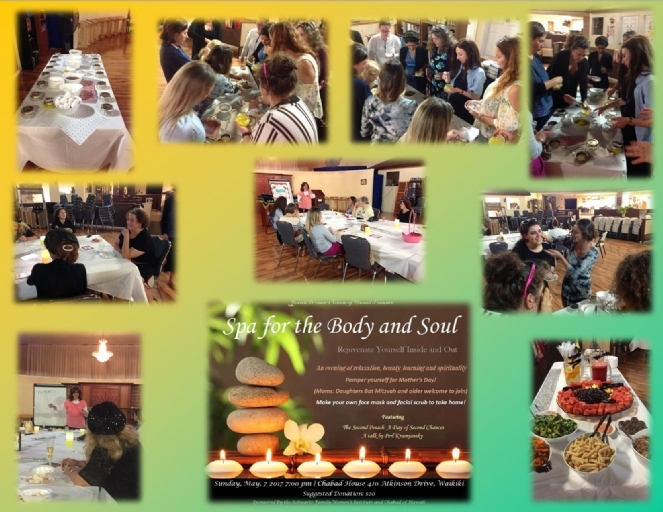 JWC - Jewish Women's Circle: Monthly gatherings to nourish the Jewish woman's body and soul. A project of Chabad of Hawaii and the Schwartz Family Women's Institute. For more information, please call 808-478-8892. For pictures of past events please click HERE ! Pesach is COMING! 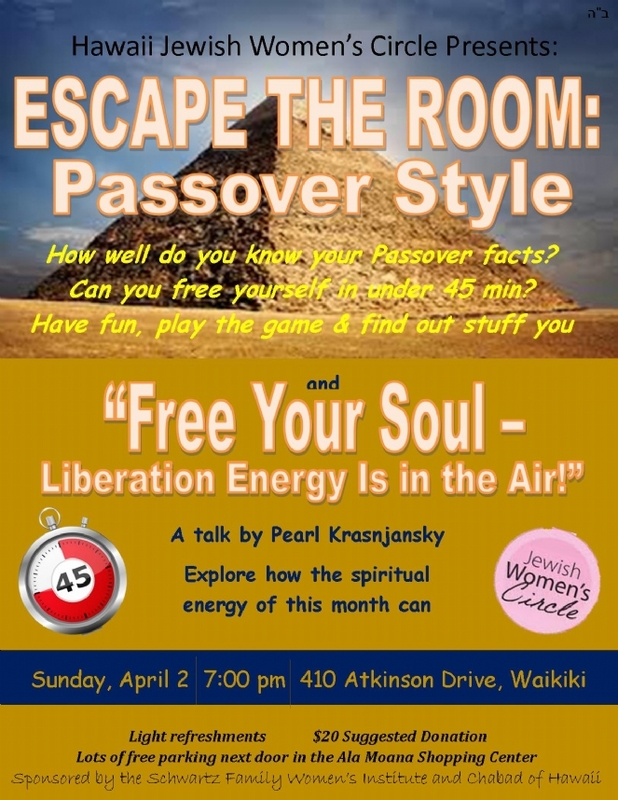 Join us as we explore the holiday of Passover in a new and fun way! For more pictures of this event please click HERE! FOR PICTURES OF EARLIER JWC EVENTS, PLEASE CLICK HERE. by a grant from the Schwartz Family Women's Institute.